Calder Vets is warning that a new strain of a deadly disease which kills rabbits without warning could be on the rise in Yorkshire. 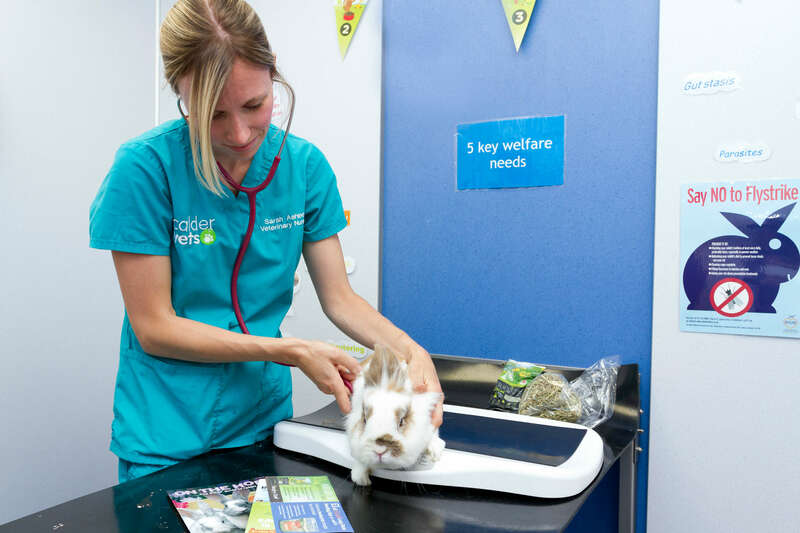 We are urging all rabbit owners to make sure their pets have up-to-date vaccinations to safeguard against a new strain of viral haemorrhagic disease known as VHD 2. Natalie McQuire, lead vet at our Halton practice, said: “This condition is spreading through the UK and we are concerned it could be on the rise in Yorkshire. “I’ve seen two cases myself in recent weeks and it is likely there are more cases out there. However, unfortunately the only way to make an accurate diagnosis is after death with a post-mortem examination. It can be transmitted between rabbits via direct contact, insects such as flies, or on hay or vegetables. People may also bring it home on their feet after walking outside. Natalie added that rabbits vaccinated with the standard myxomatosis/RHVD vaccine are not protected against this newer strain so need this additional protection to ensure they are not at risk. She explained: “There is currently no treatment available which means the majority of rabbits die. That’s why it’s so important to make sure your rabbit’s vaccinations are up to date and effective.